This concept map helps you understand the different parts of the digestive system and how they work together. The visual format of the concept map makes it easier to comprehend the relationships between different aspects of this system. 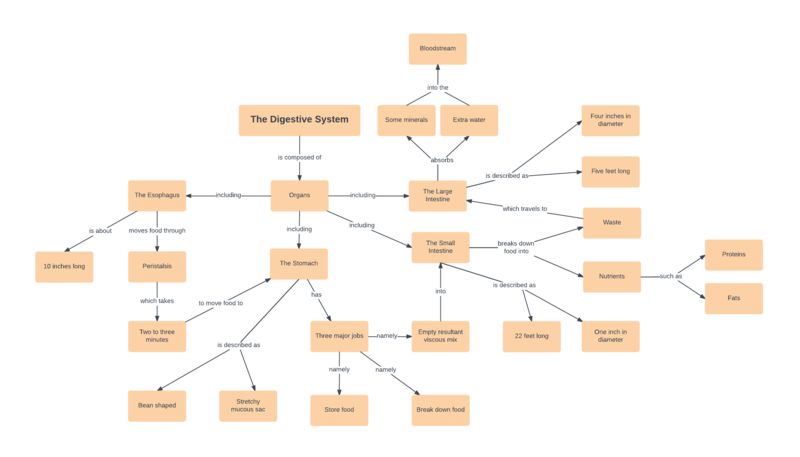 Sign up for a free Lucidchart account to use the digestive system concept map template above. You can edit the template to map out the relationships between any ideas.